During the first minutes of the 2nd Baguio Bloggers Conference at Azalea Residences, I was uneasy sitting in the front row two meters away from the stage. I felt all eyes were on me watching my every move even when I nod to what the speaker is saying. I was sitting between Baguio Smile (I never dared to ask about his real name) and Ash Velasco who I saw chewing momma before the program started. Luckily, I spotted two old friends Christel and Ivy then joined them at the back- just three meters away from the buffet area. It always feels good to be near the food station! Other friends were also there: Sammy, Clayre, Roxanne, Jaytee and other gorgeous people. In fact, even the ABS-CBN Baguio reporter who came to cover the event was my classmate in college. 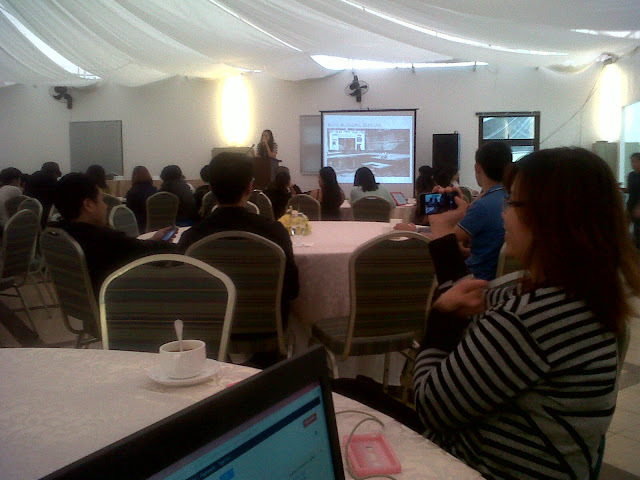 Speakers discussed about the essentials of blogging. Three of my friends Lakbay Baguio’s VincentTabor, Opposite Attracts’ Omeng Fallarme, and Watwat World’s Dean Cuanso talked about Ethics in Blogging, Creative Writing, and Photo Blogging, respectively. The speakers presented very nice slide shows, while we sat lazily wondering if we could have a copy of their slide shows. While the speakers took the momentum to share their experiences and wisdom in blogging, the rain also took its time to pour leaving me chilling. Thanks to the unlimited coffee and juice that kept me warm while no one was around to be my human blanket! 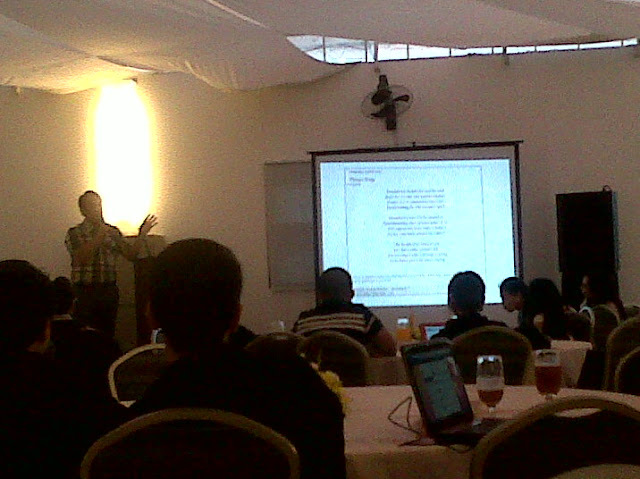 My favorite is the talk of Search Engine Optimization specialist Ben Francia. He gave us a list of tips on how to improve the rank of our blogs in search engines. 9. Build social media influence. Since the SEO discussion was the most interesting part of the event to me, I stood up to ask a question. Here goes the question: since SEO is super technical, should we subscribe to Google advertisements or pay SEO people to do it for us? And the answer: it depends on the budget especially if you are dealing with a corporate blog. 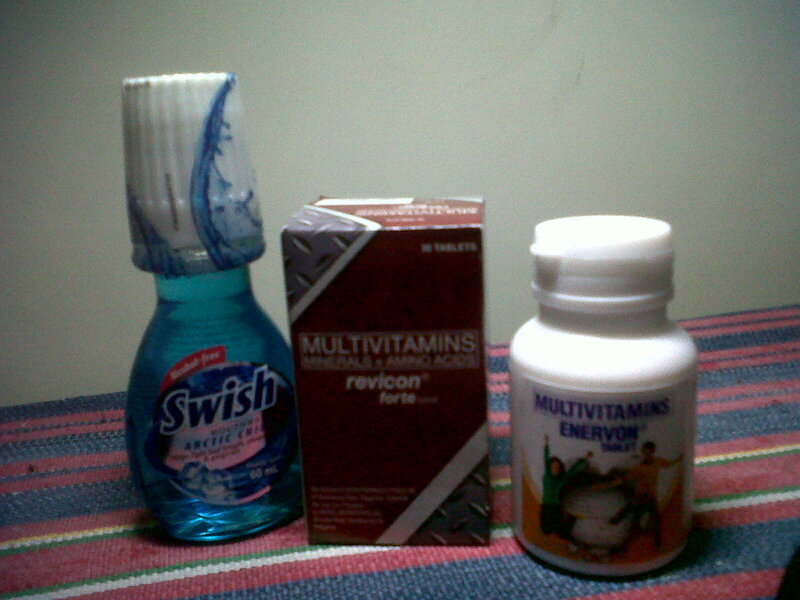 Since I spoke my mind that time, I received medical stuff from Unilab: Swish Mouthwash, Revicon Forte and Enervon Multi-vitamins. I was expecting to be handed with whitening products! 2nd Baguio Bloggers Conference: Representative of Azalea Residences welcoming guests- that's us! 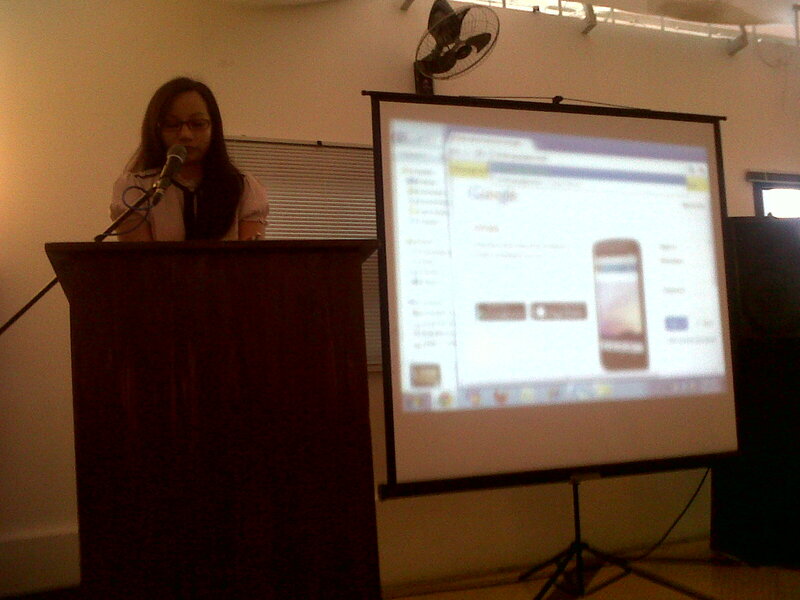 2nd Baguio Bloggers Conference: Lead organizer and master of ceremony Ane Fallarme. 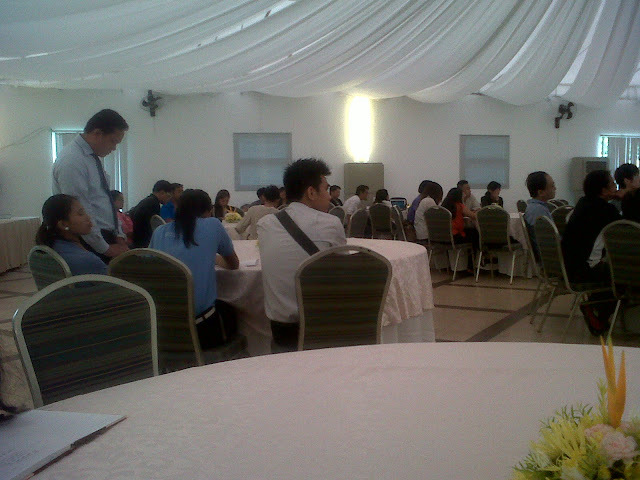 2nd Baguio Bloggers Conference: Before lunch was served, our tables were a bit organized. I do not know what happened to us when food was already ready for our stomach. 2nd Baguio Bloggers Conference: Omeng Fallarme explaining couples do not have to have a theme song to survive the affair. He discussed about Creative Writing. 2nd Baguio Bloggers Conference: We listened attentively. It so happened that Facebook browsing was as interesting as the speeches. 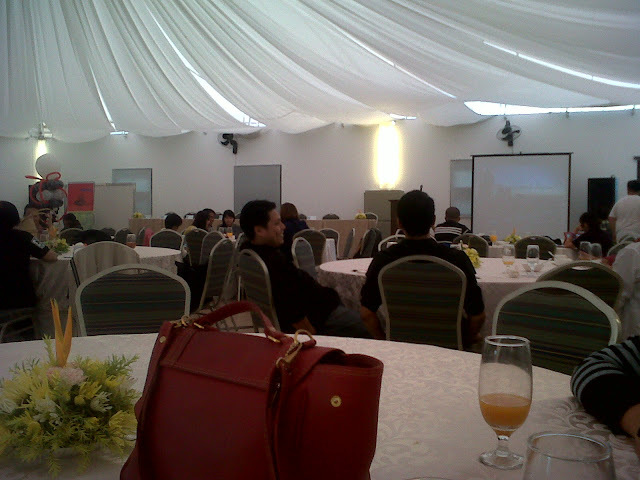 2nd Baguio Bloggers Conference: The attendees of the event. Most of them are strangers to me. 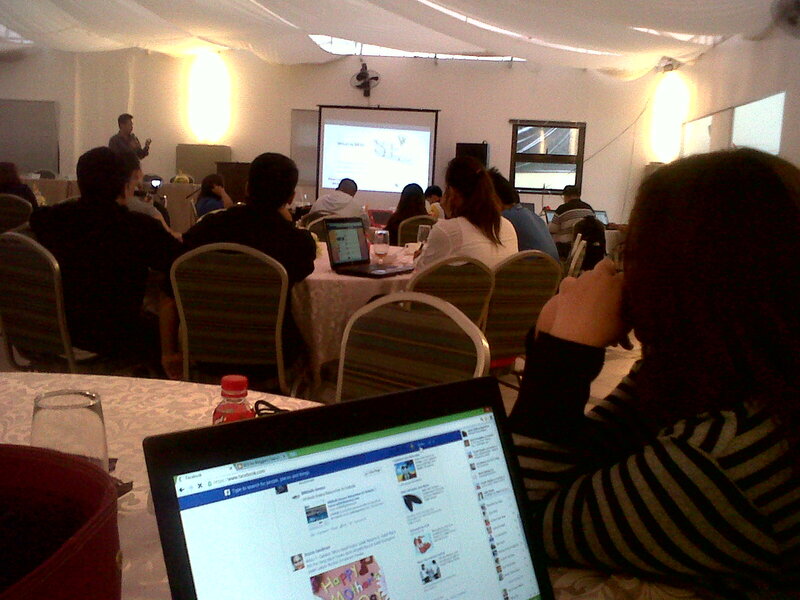 2nd Baguio Bloggers Conference: At the back, we were extending to look for some inspiration. But failed to find one, Eish! 2nd Baguio Bloggers Conference: what I brought home from the event. 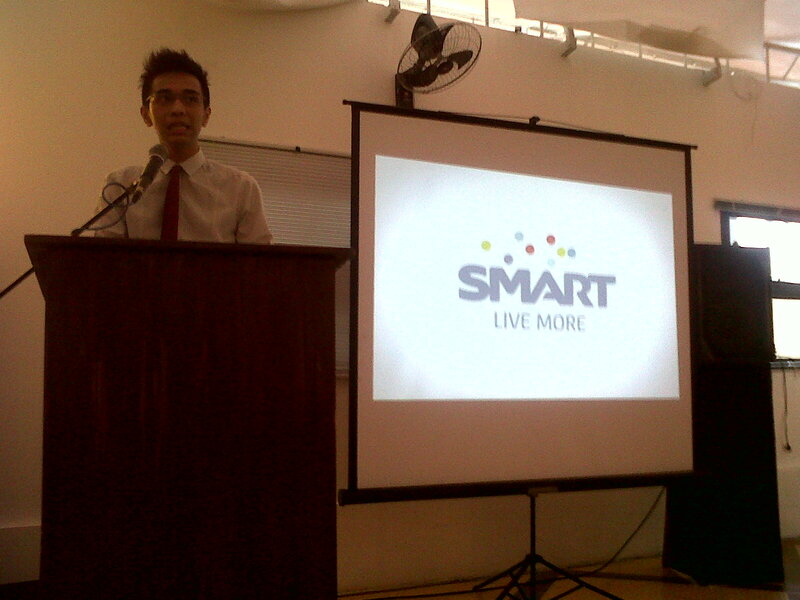 The Second Baguio Bloggers Conference was also made possible by Smart Telecommunication which keeps on helping communities with their needs in education and health via Smart Kabalikat. By the way, congratulations to Ane Fallarme for the successful event!